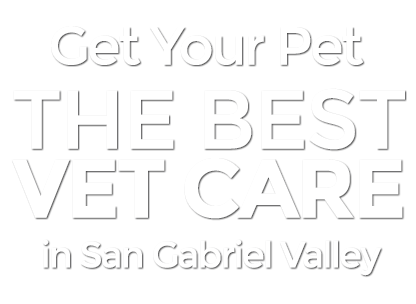 All Pets Medical & Surgical Center has been servings the communities of Diamond Bar, Walnut, and beyond for over 40 years. Since 1978, our work has been fueled by our passion for providing quality pet care to our patients and outstanding service to their “pet parents”. What sets us apart for other vet clinics is our personalized approach to pet care. We take the time to give all of our patients the one-on-one time they need, never rushing through an appointment. We understand that your pets are part of your family, which is why we approach each case with the same level of care that we would treat our own pets with. This level of service is why so many of our customers continue to bring their pets to our pet hospital year after year. Whether your pet is experiencing a medical emergency, or if they simply need routine care like a checkup or vaccinations, All Pets and our trained staff of animal doctors and technicians are there for whatever your pet needs. In fact, because we are so committed to the overall health and wellness of your pets, our offices offer much more than just veterinary services. Our comprehensive list of services is meant to help our animal patients thrive for a lifetime. In addition to medical services we offer grooming, safe and comfortable boarding facilities, and even adoption assistance. The team at All Pets Medical & Surgical Center are some of the most experienced professionals in their field. However, where our staff really shines is in the compassion they show each of our patients and their families every day. As soon as you step foot inside our animal hospital, you’ll understand for yourself what makes our practice so special. From our welcoming staff to our comfortable waiting room, to the level of care your pet receives, our goal is to make sure you and your pet leave our office feeling like family. Physical examinations can often be stressful for pets. However, our team of pet doctors is skilled at the art of making our patients feel comfortable. Over the years we’ve learned that all it takes is a little extra care and compassion on our part to earn your pet’s trust so we can give them a quick and easy examination. After a visit to our office, most of our pet patients realize that a trip to the doctors isn’t all that bad after all! Another area where our practice excels is in treating uncommon pets. While some veterinarians will only see typical domestic pets such as dogs and cats, not all of our patients walk in on four legs. Our practice is open to all types of pets including birds, guinea pigs, reptiles, and even exotic animals. If you have an unusual pet, you can trust that the medical staff at All Pets Medical & Surgical Center have the experience necessary to treat your special companion. A trip to the vet's office, especially if your pet isn’t feeling well, can be a stressful situation. We know how important it is that you have a veterinarian you can trust to take the time to listen to your concerns, diagnose your pet, and explain any possible treatment options. When you bring your pet in to be seen by one of our doctors, you can trust that all of your questions and concerns will be answered. And because we always put our patients first, you can rest easy knowing that we will never try to push any testing, treatments, or medications that your pet doesn’t need. We believe in always putting our customers ahead of profits and we’re committed to earning your lifelong business by providing you and your pets with quality, honest service. Even if an animal isn’t a registered patient of our, we will believe that every pet deserves quality health care. For that reason, our staff commits a great deal of their spare time each year to assist local non-profits with special clinics for low-income pet owners. Additionally, we have helped facilitate many pet adoptions over the years for homeless animals. No matter how they got their start, we hope to help every pet find their “fur-ever” home someday. At All Pets, we hope to share our core values with the next generation of veterinary professionals. Not only have we carefully curated our own staff, but we’ve also taken the time to mentor many local veterinary students over the years. Our goal is to help these students grow their passion for veterinary medicine, while also instilling in them the values that we live by in our own practice.